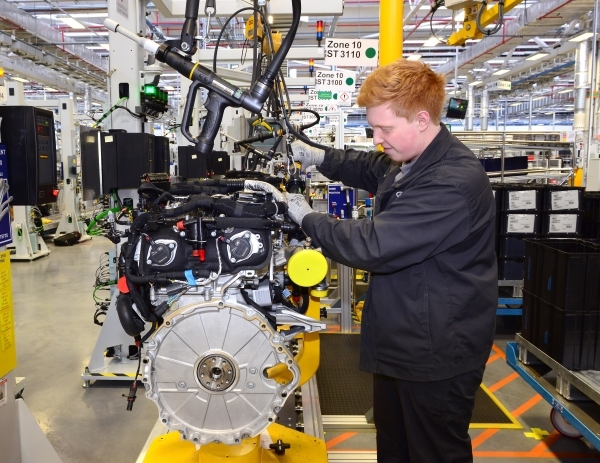 Jaguar Land Rover’s £1bn Engine Manufacturing Centre (EMC) has celebrated production of its first Ingenium petrol engine, which will debut in vehicles later in the summer. The inaugural petrol engines mark the completion of the first phase of the EMC; a fully flexible, state-of-the-art manufacturing plant that now serves Jaguar Land Rover’s three UK vehicle plants. Hailed as the most significant new automotive manufacturing facility in the UK in the last decade. Production of the 2.0-litre, four-cylinder petrol Ingenium engine, adds to its line-up, which also includes the ultra-low emission 2.0-litre 150PS, 163PS and 240PS four-cylinder diesel engines. The milestone follows an announcement last week that the EMC would manufacture the high-performance 2.0-litre 300PS Ingenium petrol engine – the most powerful four-cylinder engine Jaguar Land Rover has ever produced – for the 18MY Jaguar F-TYPE. 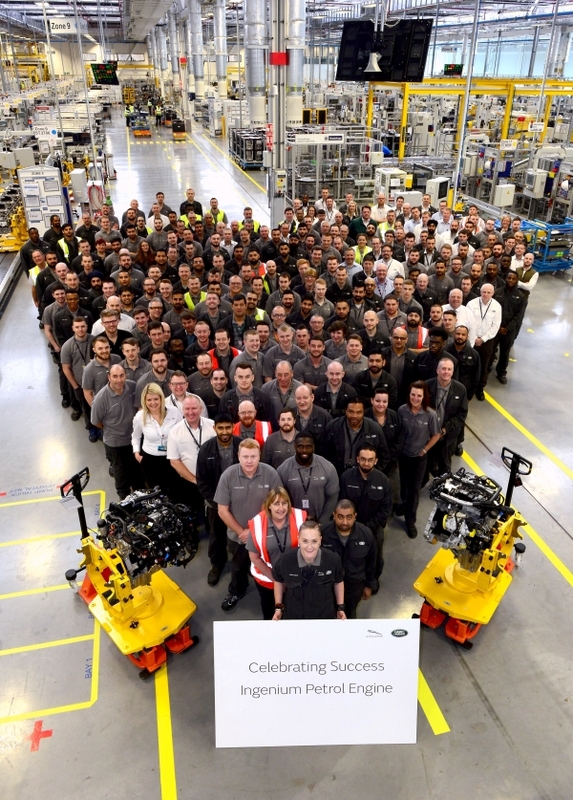 The start of petrol engine production reaffirms Jaguar Land Rover’s strategic investment programme to build skills and capability in the UK. Of the 1,400 people recruited at the plant, more than 80 per cent live within 10 -miles of the Wolverhampton plant, bringing opportunity and prosperity to the region. More than 125,000 hours of training has been undertaken to create a world-class workforce, which includes a former bus driver, a nurse, a beauty therapist and a locksmith. The EMC has also welcomed more than 50 apprentices and graduates, all on a bespoke powertrain development programme designed to support the design, engineering and production of Jaguar Land Rover advanced engine range. Since production of the Ingenium diesel engine began exactly two years ago, the EMC has built in excess of 400,000 engines. It has welcomed more than 40,000 visitors including three members of the Royal family, 20 Government officials, including prime ministers, British cabinet ministers and local MPs and more than 3,000 children through its Education Business Partnership Centre. More than 85,000 cups of tea and coffee have been consumed and 14,000 slices of the famous EMC flapjacks have been eaten. Trevor Leeks has taken 3.6 million steps in his role as Operations Director; the equivalent of travelling to the moon and back seven times, and employees have given more than 1,000 hours of volunteering to local good causes.